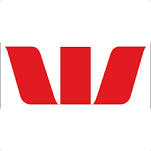 Westpac Banking Corporation, more commonly known as Westpac, is an Australian bank and financial-services provider headquartered in Westpac Place, Sydney. 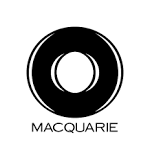 It is one of Australia’s “big four” banks. Its name is a portmanteau of “Western” and “Pacific”. As of March 2018, Westpac has 14 million customers, and employs almost 40,000 people. Westpac’s vision is to be one of the world’s great service companies, helping customers, communities and people to prosper and grow. In 2017, Westpac was recognised as the most sustainable bank globally in the Dow Jones Sustainability Index; the fourth year in a row. Handelsbanken has a nationwide branch network in Sweden, the UK, Denmark, Finland, Norway and the Netherlands. The Bank regards these six countries as its home markets. Handelsbanken was founded in 1871 and currently has nearly 12,000 employees working in more than 20 countries. Since the early 1970s, Handelsbanken’s organisation has been strongly decentralised and operations are always based on the customer’s requirements. This means that all business decisions regarding individual customers’ relationships with the Bank are taken close to the customer. Handelsbanken has more satisfied customers than peer banks, is one of the most cost-effective listed banks in Europe and every year during the past 46 years has had higher return on equity than the average of peer banks. State Bank of India (SBI) is an Indian multinational, public sector banking and financial services company. It is a government-owned corporation headquartered in Mumbai, Maharashtra. The company is ranked 217th on the Fortune Global 500 list of the world’s biggest corporations as of 2017. It is the largest bank in India with a 23% market share in assets, besides a share of one-fourth of the total loan and deposits market. Rabobank (Dutch pronunciation: [ˈraːboːbɑŋk]; full name: Coöperatieve Rabobank U.A.) is a Dutch multinational banking and financial services company headquartered in Utrecht, Netherlands. It is a global leader in food and agriculture financing and sustainability-oriented banking. The group comprises 129 independent local Dutch Rabobanks (2013), a central organisation (Rabobank Nederland), and a large number of specialised international offices and subsidiaries. Food and agribusiness constitute the primary international focus of the Rabobank Group.Rabobank is the second-largest bank in the Netherlands in terms of total assets. A 2013 scandal resulted in a $1 billion fine for unscrupulous trading practices, which included the manipulation of LIBOR currency rates worldwide. Chief Executive Piet Moerland resigned immediately as a result. Natixis is a French corporate and investment bank created in November 2006 from the merger of the asset management and investment banking operations of Natexis Banque Populaire (Banque Populaire group) and IXIS (Groupe Caisse d’Epargne). Groupe BPCE owns more than 70% of Natixis while the remaining float is listed on the Paris Stock Exchange. Natixis provide financial data for the ‘Markets’ section on the news channel, Euronews. On October 26, 2010, Natixis Investment Managers (NIM) has acquired a majority stake in asset management start-up ‘Ossiam’. Hong Kong is Natixis Corporate & Investment Banking’s headquarters for Asia Pacific, and the hub from which we develop bespoke solutions for regional clients across structured financing, capital markets, investment banking and trade finance. It is the control center for our client coverage, with dedicated teams organized by client type and location to ensure we understand and meet our customers’ needs. Hong Kong houses our main trading floor and support functions for the region. It is also our platform’s central nerve to our headquarters in Paris, ensuring that all we do in Asia Pacific is underpinned by the full breadth and depth of Natixis’ global expertise. KBC Bank N.V. is a Belgian universal multi-channel bank, focusing on private clients and small and medium-sized enterprises. Besides retail banking, insurance and asset management activities (in collaboration with sister companies KBC Insurance NV and KBC Asset Management NV), KBC is active in European debt capital markets, domestic cash equity markets and in the field of corporate banking, leasing, factoring, reinsurance, private equity and project and trade finance in Belgium, Central and Eastern Europe and elsewhere (mainly in Europe). KBC is an acronym for Kredietbank ABB Insurance CERA Bank. 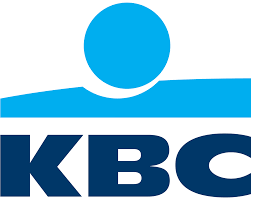 The parent company, KBC Group N.V., is one of the major companies and the second largest bancassurer in Belgium. 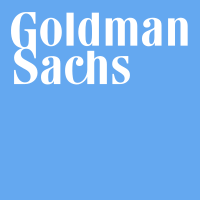 It is the 18th largest bank in Europe by market capitalisation and a major financial player in Central and Eastern Europe, employing some 38,000 staff worldwide (of which 20,000 in Central and Eastern Europe) and serving 10 million customers worldwide (some 8 million in Central and Eastern Europe).